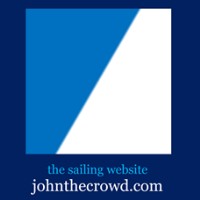 Clipper Round the World Yacht Race video above published Apr 22, 2019: On April 22, 1969, Sir Robin Knox-Johnston made history, becoming the first person to ever complete a solo and non-stop circumnavigation of the world's oceans. 50 years on, Sir Robin returned to Falmouth to recreate that historic day on board his beloved 32-foot ketch Suhaili. Coming soon, this incredible story will be told like never before in a documentary called Sir Robin Knox-Johnston, Sailing Legend. Sir Robin will share his diaries from the race for the first time, while fellow leading sailors such as Olympian Sir Ben Ainslie, Dee Caffari and Alex Thompson will share what Sir Robin's achievement means to them.